Life doesn't always go according to plan. In fact, it's been said that life is what happens while you're making other plans. We all want to be winners. 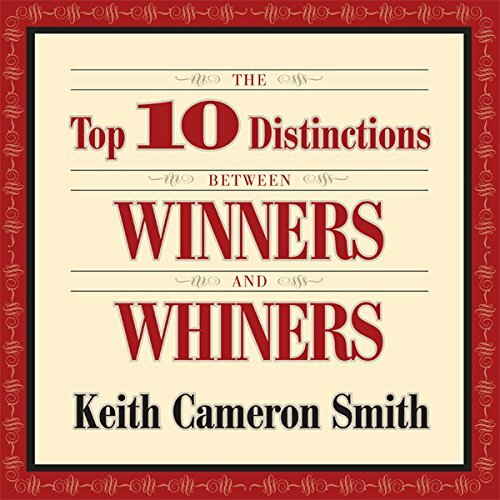 In this inspirational and practical guide, filled with savvy and sensible advice, Smith tells you how. Follow these principles, and transform your life. Winners take responsibility. Whiners play the victim. Winners find a way. Whiners find an excuse. Winners brighten a room by entering. Whiners brighten a room by leaving. Winners build friendships. Whiners destroy them. Be a Winner and move from fear to faith, from stress to peace, from darkness to light.